A unique blend that's sweet, juicy and utterly irresistible. Limeade and freshly picked Hawaiian berries finished off with a drizzle of honey to create the perfect balance of refreshing sweetness. Limeade and freshly picked Hawaiian berries finished off with a drizzle of honey to create the perfect balance of refreshing sweetness! 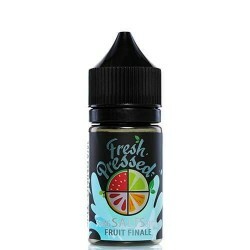 Packed full of fresh succulent fruit making for a deliciously fruity all-day vape. Steam Age express ships Honeycomb Berry by Fresh Pressed Salts NZ & Australia-wide.